Michael Trimble won both the Metropolitan Opera Auditions and the American Opera Auditions in 1963 and made his Italian debut as Cavaradossi in Puccini's Tosca at the Teatro Nuovo in Milan. He went on to sing over 60 leading tenor roles during a career that stretched across multiple decades. 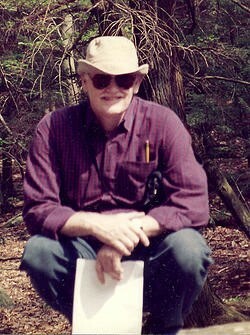 Trimble has also established himself as an internationally recognized voice teacher and repertory coach. 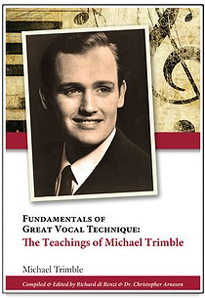 His 2013 book Great Vocal Technique: The Teaching of Michael Trimble enlightens readers about techniques practiced by the greatest singers of the 19th and 20th centuries. The author's insights are based on a pedagogic foundation of personal experience, relevant literature, and interviews with famous singers - many of whom were his personal friends, colleagues, and mentors. The book is a must have for anyone interested in the miracle of the human voice. For more information on either the book or on Michael Trimble's thriving voice studio on Bainbridge Island please go to trimblevocalinstitute.com. The website is comprehensive and enjoyable - just be sure your volume is up!